In a city brimming with charming buildings and, uh, unique people, it can be easy to go unnoticed in San Francisco. 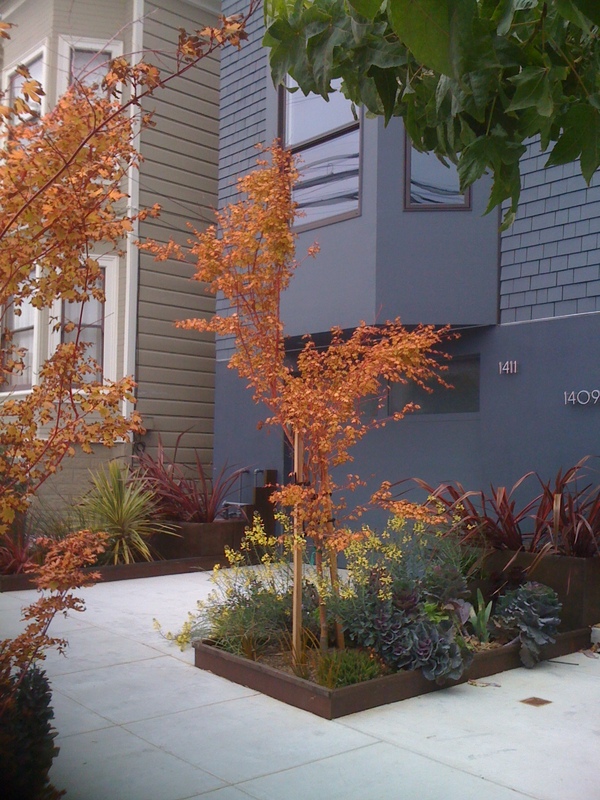 These rectangular planters, though, do an admirable job of being an eye-catching and dramatic addition to the sidewalk. The orange, crinkly leaves and bark of the Japanese maple leap like flames, offering an intense contrast with the dark modernity of the house in the background. Some sort of brassica in the middle is a tad overgrown, but the color combo of the yellow flowers and the silvery blue foliage more than makes up for any legginess – in one plant you’ve got the gray that ties the garden to the house and great little sparks of light to attract attention. Need a creative way to get rid of some pipes? 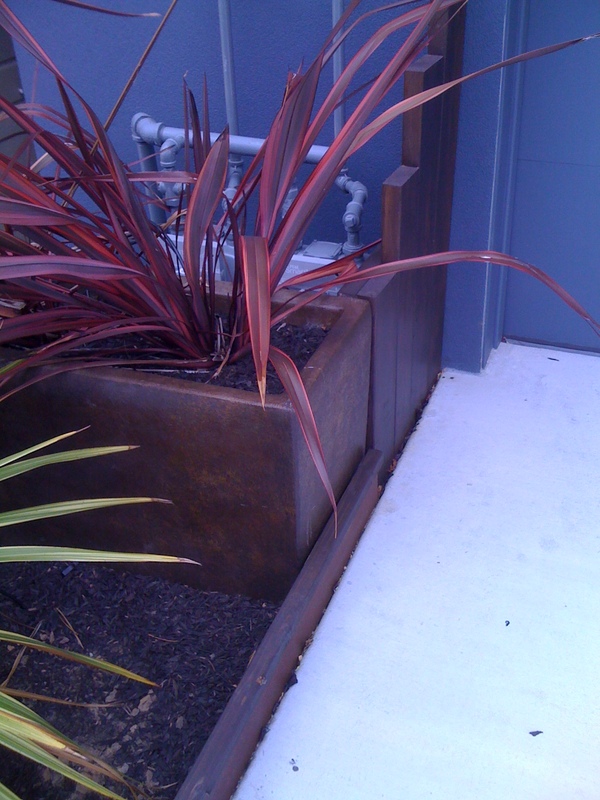 Hide them behind a crimson clump of phormium and a rectangular container. Tie it all together with a simple wooden wall of the same color and from a distance it looks like a complicated custom built piece. 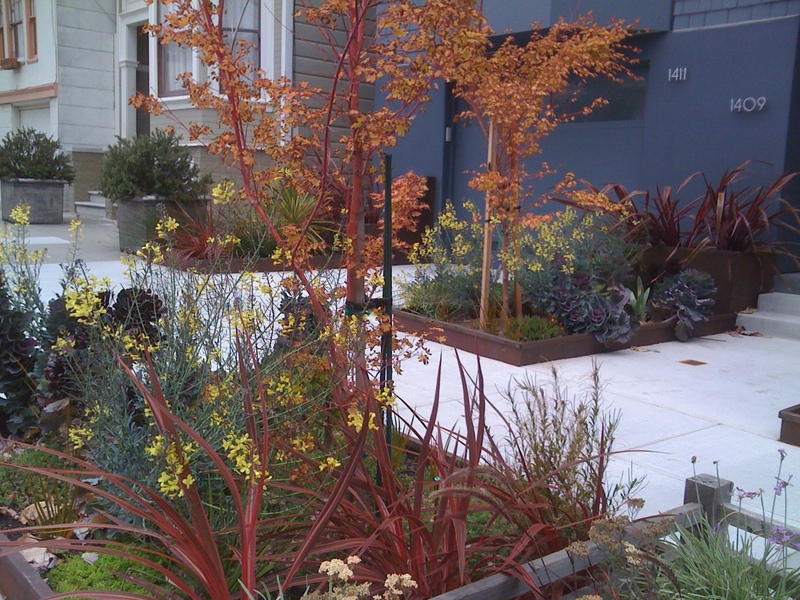 These small plots are a good reminder that the right mix of colors and growth forms can be both aesthetically luscious and functional, too.